Combining a peaceful, scenic location with easy access to the cultural highlights of Valencia’s city centre, the house HomeEspaña found for musician George Moult couldn’t be more fitting. George moved into his three-bedroom villa in a rural community near Turis, south-west of Valencia, in July 2017. 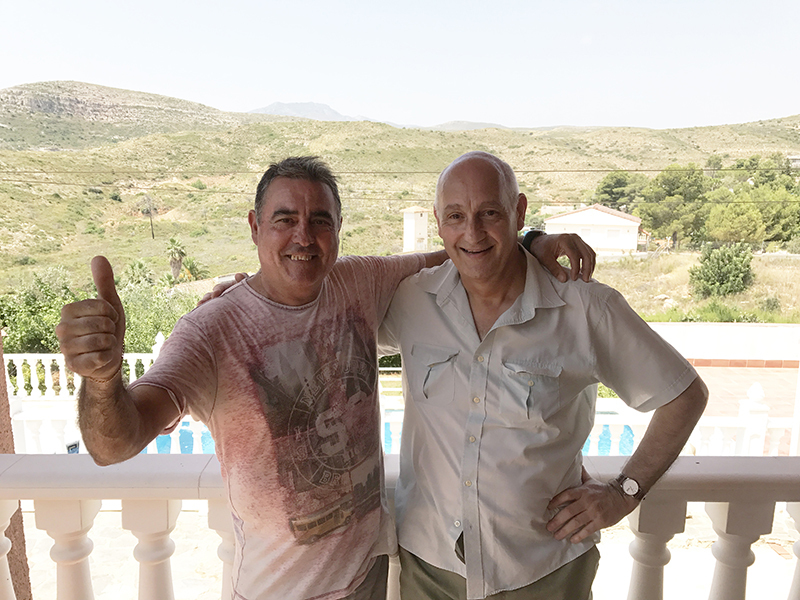 After decades working hard as a piano teacher, he decided to move to an authentic corner of Spain where he could focus on composing music and enjoying his retirement. His search for his perfect home took him to Valencia, where he fell in love with the city and its rich arts and music scene. George’s new home is located in the hill-top urbanisation of Altury, equidistant from the towns of Turis and Montserrat. It sits on a 900-square-metre plot that includes a pool, orchard, front and rear patios, and an independent summer kitchen with kitchen and washroom. Ready to move into and with all services connected, its previous owners, who lived in Valencia, used it as a second home. For groceries and basic amenities, Turis and Montserrat are both under 10 minutes’ drive. When he visits Valencia, George either drives into the centre or leaves his car at the nearby town of Picassent and jumps on the metro.